PRE-HEAT the oven to 80 degrees celsius or 175 degrees fahrenheit. 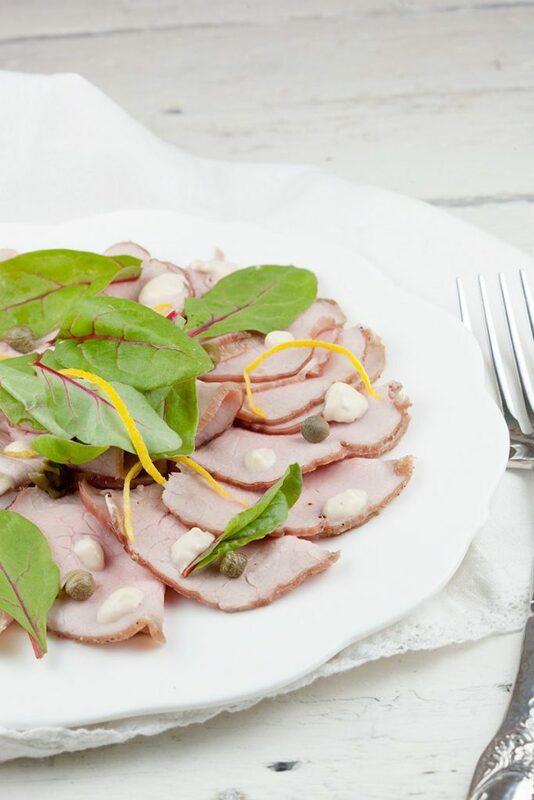 PAT the veal dry using paper kitchen towels and use a sharp knife to cut into the veal, not too deep. PEEL the garlic cloves and chop them into slices. 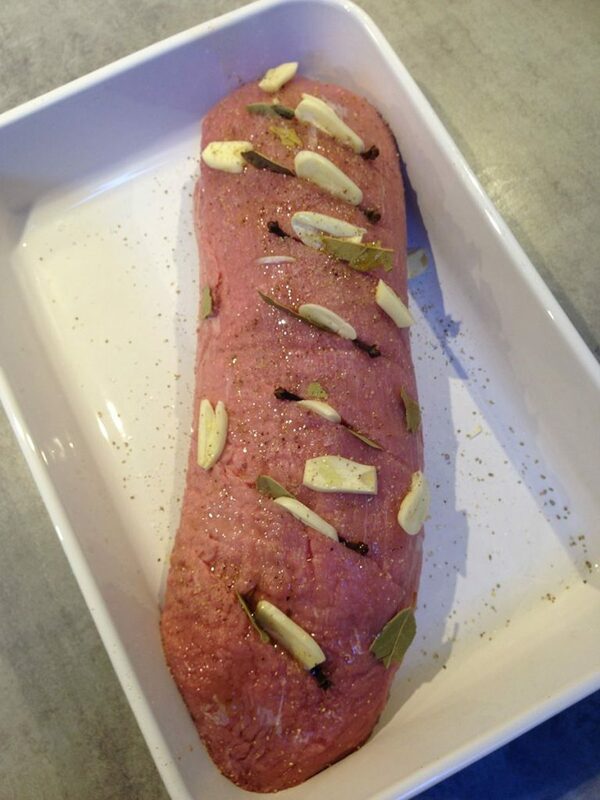 DIVIDE the garlic slices, bay leaves and cloves into the cuts of the veal and season with pepper and salt. PLACE the veal in the oven and slowly cook it for about 2 hours, or until the core has reached 53 degrees celsius or 127 degrees fahrenheit. The veal supposed to be rosé. 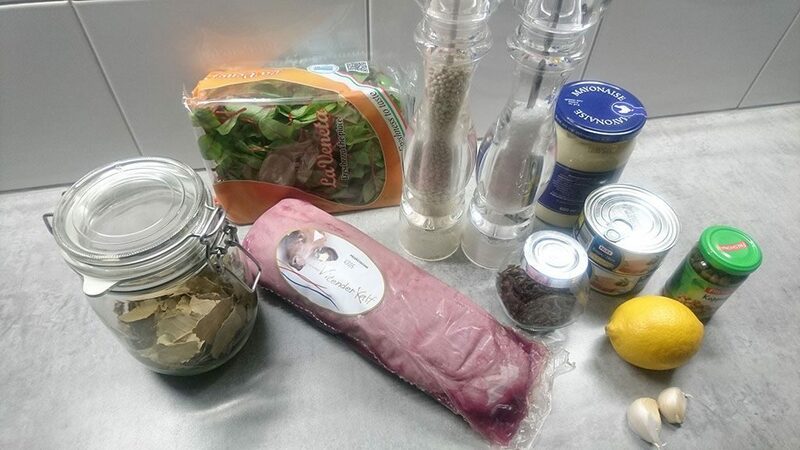 Meanwhile create the tuna mayonnaise by blending the tuna with a (immersion) blender. ADD the mayonnaise, a dash of lemon juice and a half tablespoon capers to the blender and BLEND until you’ve reached a smooth sauce. SEASON with pepper and salt. 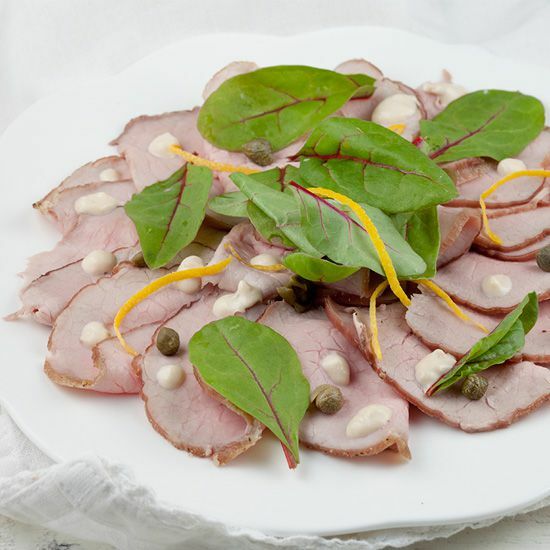 REMOVE the garlic, cloves and bay leaves from the veal and slice it into thin slices. You can use a kitchen cutting machine or sharp knife to do this. 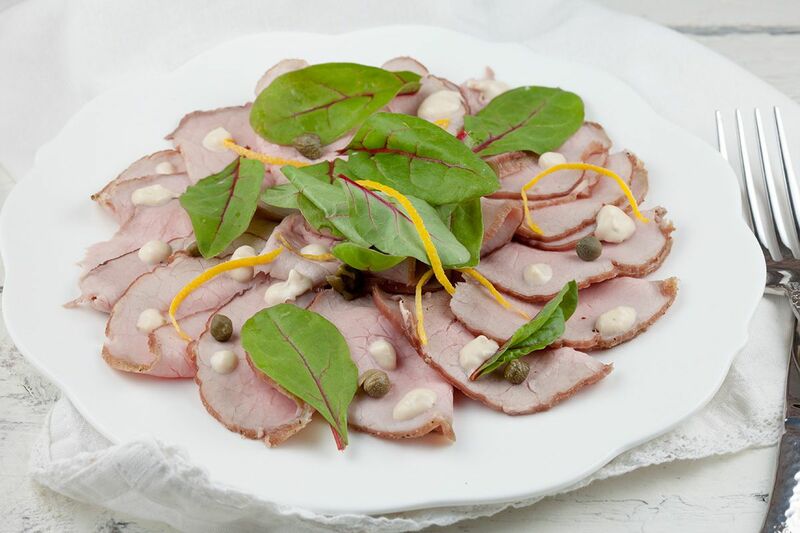 DIVIDE the slices over the plates and divide the tuna mayonnaise, capers and lettuce over the veal. GARNISH with lemon zest if you like and enjoy!